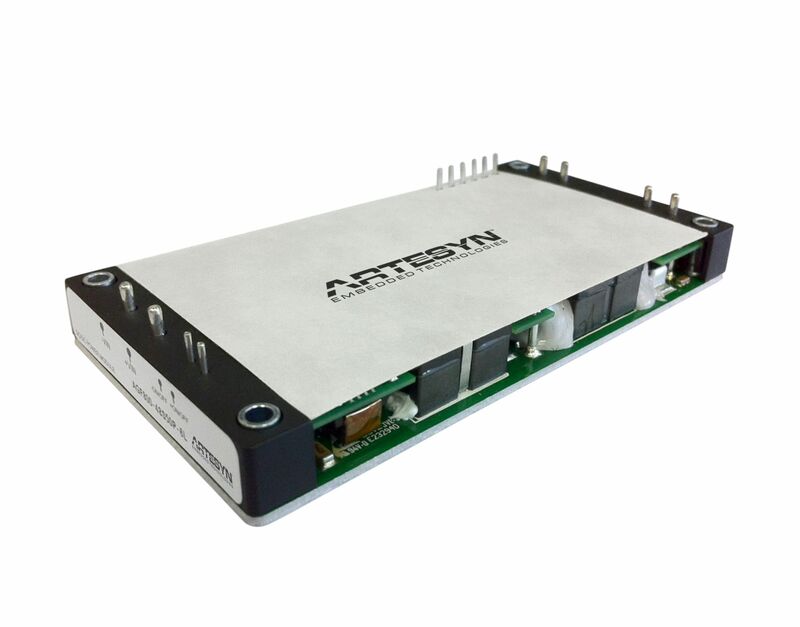 Tempe, Ariz. [1 May, 2014] — Artesyn Embedded Technologies, formerly Emerson Network Power’s Embedded Computing & Power business, today announced its highest power output dc-dc converter module ever, the 800W AGF800 series. Housed in a full-brick format, the AGF800 series offers greater than 94.5 percent typical efficiency and a wide input range of 36 to 75 V. A 48 V model (AGF800-48S48) is designed to support the rapidly growing number of high power wireless base station (BTS) deployments using Gallium Nitride (GaN) technology for increased power density and higher efficiency. The 48 V model can deliver up to 16.7A output current, while the 28 V model can deliver up to 28.6A output current. An aluminum baseplate structure gives AGF800 series modules excellent thermal performance. Both models can operate between minus 40 and plus 85 degrees Celsius ambient temperature, and can continue to operate at full power up to 100 degrees Celsius baseplate temperature – all without air cooling. 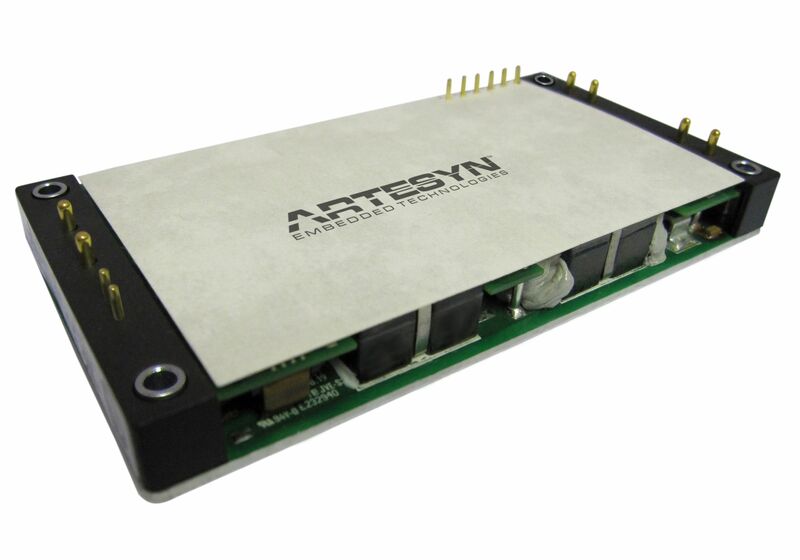 Artesyn AGF800 series dc-dc converter modules offer a wide trim range of 24V to 53V output for the nominal 48V output version and 14V to 33V for the nominal 24V output version. A high resolution picture of the new AGF800 series dc-dc converters module is available. Artesyn Embedded Technologies is a global leader in the design and manufacture of highly reliable power conversion and embedded computing solutions for a wide range of industries including communications, computing, medical, military, aerospace and industrial. For more than 40 years, customers have trusted Artesyn to help them accelerate time-to-market and reduce risk with cost-effective advanced network computing and power conversion solutions. Artesyn has over 20,000 employees worldwide across nine engineering centers of excellence, five world-class manufacturing facilities, and global sales and support offices. Artesyn Embedded Technologies, Artesyn and the Artesyn Embedded Technologies logo are trademarks and service marks of Artesyn Embedded Technologies, Inc. All other product or service names are the property of their respective owners. 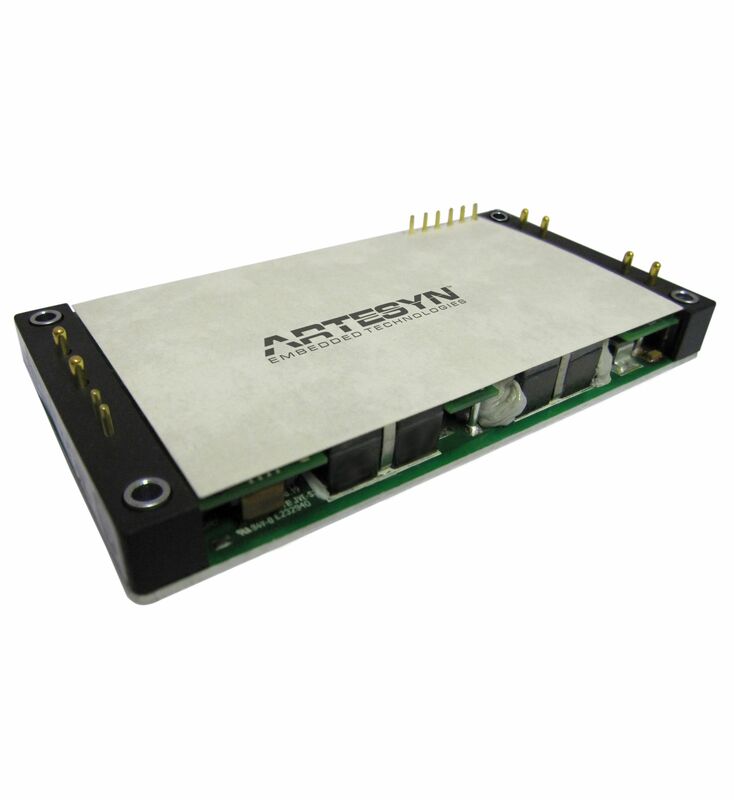 © 2014 Artesyn Embedded Technologies, Inc.
Caption: Housed in a full-brick format, Artesyn's new AGF800 series offers greater than 94.5 percent typical efficiency.